Northwest Creative Imaging offers the most popular trade show booths, trade show displays, and large format printing at affordable prices. We provide a large selection of products so you can choose the display that will fit your needs. 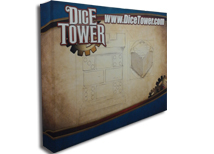 We offer one of the largest selections of pop up displays on the internet so our customers can get a unique display for a reasonable price. 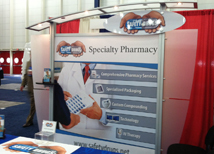 We have display systems that can fit booths of all sizes. We offer professional design services at very low rates to help your company stand out! 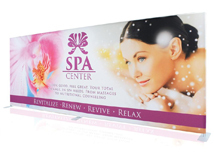 EZ Tube displays are very affordable full graphic displays that are modular. Full color dye sub graphics are included with every display! Backlit Vector Frame displays turn any average booth space into an impressive backdrop that will draw attention at any show. Multiple sizes available! The Orient banner stand is one of the best values on the market. Quality construction and anti-curl graphic make this a great value! Pascale offers a large selection of US Made trade show displays in multiple sizes and configuations. Fast turnaround and exceptional quality make this a great option! Finally, a table throw that is affordable and has no limit on colors! All of our prices includes set up charges so there are no hidden fees! Northwest Creative Imaging specializing in lightweight, portable exhibits that are high quality and affordable. Our business philosophy is to provide every customer with complete information on every product on our site. This insures that you and your company can purchase a display online with confidence that you will receive exactly what you order. We also offer design services at a reasonable cost with high quality output. You can view our design portfolio to see work we have done. We sell products from major US vendors in order to get our customers high quality products with adequate warrantee's. We keep our prices lower than other internet retailers by drastically reducing overhead and operating in a sustainable manner that gives our company the ability to offer great products at extremely low prices. What makes Northwest Creative Imaging different from other display suppliers? NWCI offers a variety of trade show display products as well as design services. We only offer portable trade show stands which allows us to offer more options than most online retailers because we only specialize in one area of the market. This also gives us the ability to lower overhead and make our portable trade show exhibits much less expensive than many other companies. We sell the most popular booths from US manufacturers to provide a large selection of locally stocked products. We select our products from manufacturers with great customer service, great warranties, and low prices so we can pass that along to our customers. We also shop for the most affordable and highest quality large format graphics so we can consistently provide affordable marketing materials for trade shows and other marketing events. We stand behind all of our products and graphic prints and offer 90 day to lifetime warranty's on all hardware and 30 day to lifetime warranty's on our large format printing. Our company mission is to provide quality trade show booths that will directly increase your marketing success. Every last detail of every product is described on our web site so you can rest assured of your purchase. We want to make online shopping as interactive and informative as showroom shopping while offering some of the lowest prices in the industry. We screen all of our products so we know exactly how all of our products work and the quality our customers can expect from them. A trade show booth purchase can be very difficult and costly so we strive to insure every customer can get a quality trade show display at a reasonable price. Creative trade show displays are a great marketing tool that can help your company attract new clients show after show. 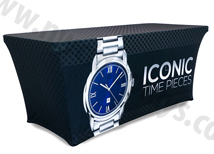 Portable display systems can brand your image and promote new products. Pop up displays for trade shows are the most popular display options and we carry a full line at many different price points and quality levels. We offer a variety of trade show graphics for our different products that range in price and quality. We also carry trade show flooring that can be added to any booth. We also carry a large selection of event flooring solutions that can be used in gyms, stadiums, and marketing events! We strive to make your graphic display stand out at every show by offering reasonable design services that will help increase your leads at every show. A marketing event is a great place to make new business connections and expand your business. We cater to start up companies who are low on cash but still need to get their name noticed at trade shows. We offer many economy lines of displays that are very low priced and can fit any trade show budget. We also offer premium lines for exhibitors looking for a durable display system. We have many large format printing options of every product so its very easy to find a product that will work perfect for your company. We describe every graphic material in detail in our graphic substrate section of our site. Outdoor displays are great for all outdoor marketing needs and are very effective and outdoor events or farmers markets. Outdoor banner stands work great indoors and outdoors to effectively market your products. Events tents are ideal for outdoor sales and marketing. The full color dye sub printing will give your event tent a unique look and allow customers to immediately recognize your brand. We even offer outdoor concession stands that are ideal for portable retailing and event management. We are always expanding our outdoor line so keep watching for new and innovative products. 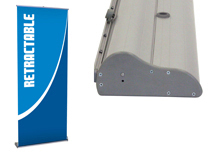 We carry of full line of outdoor banner stands so you can have a one stop shopping experience! 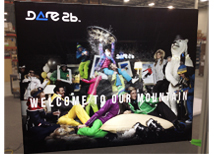 Let us design your next trade show display! Our designer has been working specifically in the trade show graphic design industry for 9 years and knows exactly what will make your company successful at your show. With a background in business and graphic design, we can design graphics that are practical, effective, and eye catching. We want to provide your company with a graphic that will serve its purpose effectively while giving you a professional and modern look. NWCI offers 90 day to lifetime warranties on its products. We work with the largest display manufacturers to bring you the highest quality product at the lowest price. We offer complete customer support for all of our products. We have a monitored help line for all questions and email contacts that forward directly to mobile phones for fast and professional service. Shoot Northwest Creative Imaging an email at info@nwcidisplays.com to discuss trade show displays, stands, flooring, and booths. We can assist you in designing or choosing the correct display for your companies needs. No one on our team is paid commission so you can call at anytime without listening to a sales pitch or upsale routine. The best form of communication is through email which will be answered promtly. Northwest Creative Imaging services all US cities and every convention center in the United States. We ship to customers in Canada, Puerto Rico, Japan, Europe, and throughout the world.